Celebrating the Earth is a good thing. 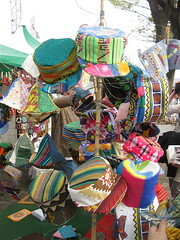 I remember attending my first Earth Day festivities in 1990 in Santa Cruz, California. The entire city was partying. There were events all over the city in every conceivable venue. Some memories I have of that weekend include participating in a community “rain dance” by the beach (we were in the midst of a bad drought), joining in on sing-a-longs at an elementary school, jumping from one drum circle to another, listening to street musicians, attending civil disobedience training. It was awesome. 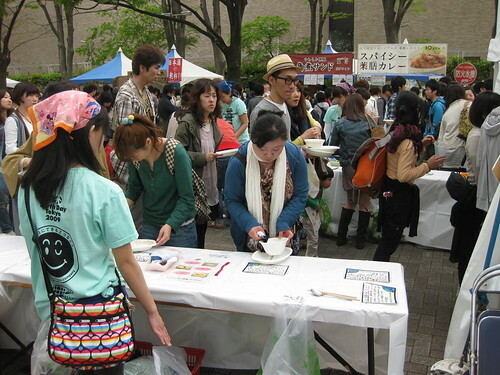 Last weekend I went to the Earth Day celebration at Yoyogi Park. 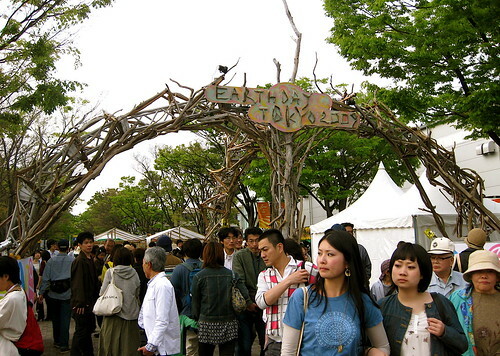 Most of the booths and events were held on the long tree-lined pedestrian boulevard that faces the NHK buildings. And the scene there could just have easily been pulled out of that weekend in 1990, or any West Coast hippie event. 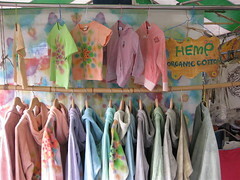 Of course, it was a lot more crowded, but the natural fiber clothes, tie-dyes, dreadlocks, and other accoutrements of the West Coast hippie made me feel at home. This being Tokyo, there was a high tech element to the proceedings. 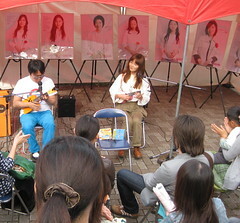 Like this pair of folk singers playing electric ukuleles. 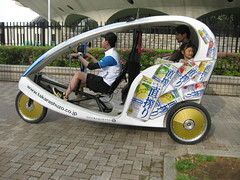 Or corporate sponsored alternative transportation like this cool covered bicycle taxi. 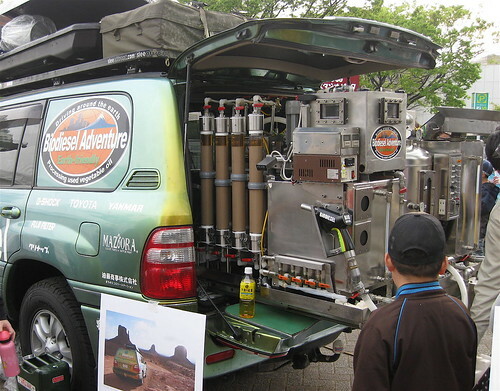 And especially this biofuel processor thingy. Or maybe it’s an environmentally friendly nuclear device that also makes great espressos. 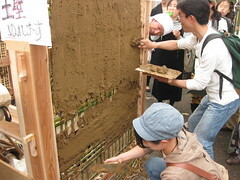 I also liked the green construction demonstrations with recovered wood, or with mud and straw construction. All the plastic forks and paper plates discarded at any sort of festival has always been problematic, especially for a festival espousing minimal impact on the environment. 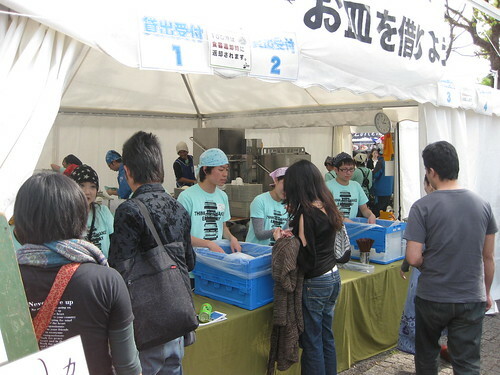 So the most interesting aspect of this festival was the attempt at using reusable dishes and utensils for the food booths. 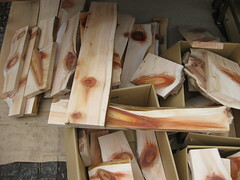 I would have organized it differently but the idea was praiseworthy. First you have to wait in line to pay a 100 yen deposit to pick up a sturdy plastic plate or bowl and the metal utensils of your choice. Then you get in line again at the food booth of your choice. After you’re done, you get in line again to wipe your plate with cloth scraps. and finally, you return everything and get the deposit back. Meanwhile, in these plate tents, there are squads of dishwashers. My first reaction to this system was, “That’s a lot of waiting in lines for an over-priced bowl of vegetarian curry. Let’s go to a nearby cafe instead.” I mean, couldn’t we have just picked up a bowl at the food booths instead? That would have at least saved some time. But eventually, I understood this to be part of the experience, making each diner go through the inconveniences of being responsible for preventing waste. And it was a good reminder of how we take so many of our conveniences for granted. Next time I go to a festival, I’ll just bring my own bowl. Or just eat my hempseed granola and soymilk at home before heading out. I too would have found all that waiting in line frustrating. My solution would have been to serve foods in edible containers – an ice-cream cone, for example, rather than an ice-cream sundae. One very old idea is to serve stews in small hollowed loaves of bread. ooh all great ideas. i’d definitely wait in line for a bread bowl. or anything edible that i don’t have to wash.